Those small bags that come with your persil washing powder tablets are just so handy. I sow some seeds in small 5cm or 7cm pots and keeping the mice off can be a nightmare, but now I have the answer. 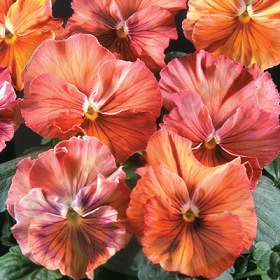 After sowing my Viola Rose Shades and Pansy Chianti seeds and placing in trays for easy watering, I pop one of the small bags over the top of the pot an tighten the drawstring to fit snugly. 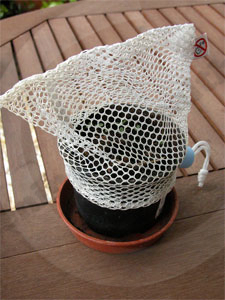 This lets the air circulate around the seedlings whilst keeping out unwanted mice, slugs and snails. Because these bags are made from fabric they are easily washable and can be used time and time again.